Death, taxes and waiting in line at the DMV. Some things are inevitable. Or were inevitable. Because now, with the advent of express DMV services, you can cross waiting for hours at the DMV off of your to-do list. In fact, DMV express services serving Oakland, Fremont, Hayward, Berkeley, San Leandro, Alameda, Union City, Pleasanton, Newark, Dublin and the rest of Alameda County can save you time and frustration and get you on your way after a short office visit or, in some cases, a few minutes at your computer. 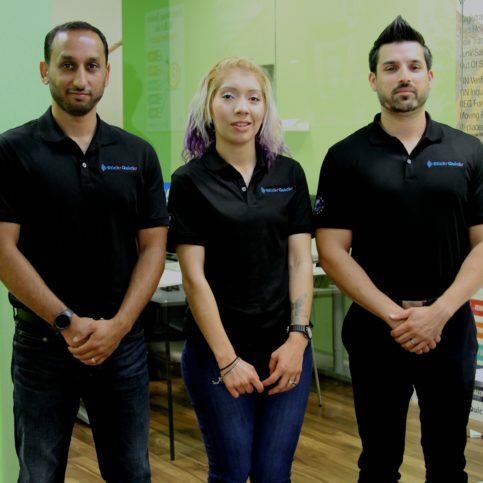 If you don’t mind waiting in line at the DMV or you have a complicated issue that can only be sorted out by your local DMV office, a DMV express service might not be the best fit for you. However, if you need a simple renewal or replacement of your DMV registration, license plate, stickers, or title; or if you need a title transfer, duplicate title, salvage vehicle revival title, VIN number verification or another routine service, express DMV companies can save you time and the hassle of waiting in line at the DMV office. 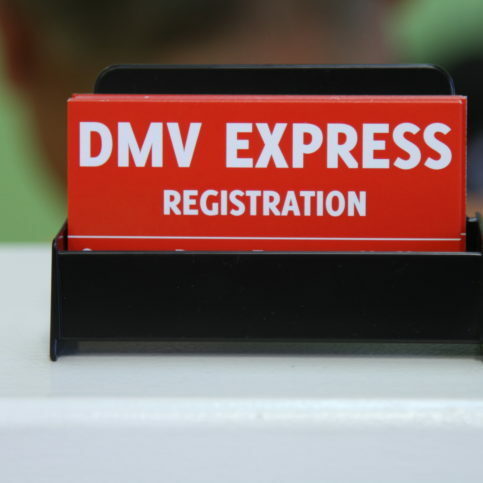 Read on for more information about express DMV services, how to find them, and how they can help you get your DMV registration renewal, license plates and stickers, title transfers, and more in just a fraction of the time you’d expect. What Are DMV Express Services and What Can They Do For You? 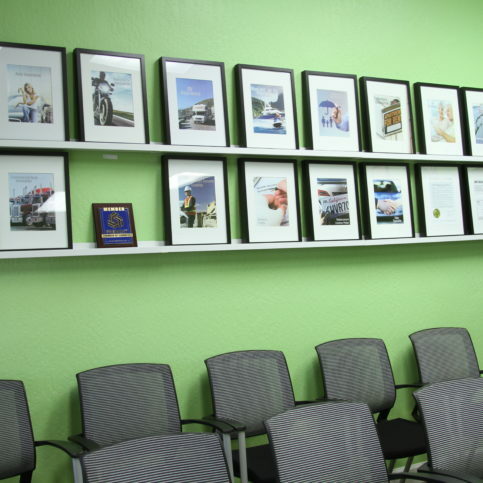 Why Trust Diamond Certified DMV Services Rated Highest in Quality and Helpful Expertise®? Faraz Saiyed is COO of Stickr Quickr – DMV Express Services, a Diamond Certified company. He can be reached at (888) 461-6998 or by email. A: Lahore Karahi in San Francisco. I was raised on Indian and Pakistani food, and they have the best, most authentic Pakistani food I’ve ever had—other than my mom’s cooking, of course! A: I like both, it just depends on my mood. Q: Do you listen to any podcasts? A: Yes. “StartUp” and “How I Built This” are my two favorites. A: Tea. In my culture, we have black tea with a little milk in it, and that’s my go-to. A: Being a class clown and playing sports. DMV SQ experts are trained to provide fast and friendly customer service. You probably already know your main goal when it comes to working with a local express DMV company—saving time and frustration by not having to wait in line for hours at the DMV. That’s something all express DMV services can do for you, whether they’re located in Dublin, Newark, Pleasanton, Union City and Alameda or near you. You should also think about the actual services you need so that you can communicate clearly, effectively, and efficiently with the Alameda County DMV services in your area. Start by writing down your needs and goals. Use the questions below to get started, and add any other information that will be pertinent to your specific case. 1. Do I want to work with a Diamond Certified company that is top rated and backed by the Diamond Certified Performance Guarantee? 2. What DMV services do I need? You may be able to do all of your DMV services online with the Alameda County express DMV services near you or in Ashland, Castro Valley, Cherryland, Emeryville, Komandorski Village, Livermore, Mount Eden, Piedmont, Russell City, San Lorenzo, Sunol. If that’s the case, you may never need to visit in person with your local DMV express company. However, if you want to deal with your express DMV company in person or you have an issue that demands in-person attention, make an appointment with the service that seemed best able and willing to help you. Below are some questions you may want to ask before or during your visit. How long will the DMV services take? How will I receive my new registration, stickers, license plates, or other DMV-supplied materials? Is there anything I can do to make this process go more smoothly or quicker? When your goal is to save time and frustration, it’s best to choose a Diamond Certified DMV express service because all certified companies have passed an in-depth ratings process that most other companies can’t pass. If you want quality from express DMV services in Alameda County and the greater Bay Area, you can have confidence choosing a Diamond Certified company. Diamond Certified reports are available online for all certified companies. And you’ll never be fooled by fake reviews. That’s because all research is performed in live telephone interviews of actual customers. If you can’t find a Diamond Certified company within reach, you’ll have to do some research on your own. If you do, it’s wise to call some references provided by your chosen provider. Keep in mind, though, that references provided to you by companies are not equal in value to the large random sample of customers surveyed during the Diamond Certified ratings process. That’s because references given to customers from companies are cherry-picked instead of randomly selected from all their customers. So express DMV services in Oakland, Fremont, Hayward, Berkeley, San Leandro, Alameda, Union City, Pleasanton, Newark, Dublin, Ashland, Castro Valley, Cherryland, Emeryville, Komandorski Village, Livermore, Mount Eden, Piedmont, Russell City, San Lorenzo, or Sunol will likely give you a few customers to call that they know are satisfied. If you do call references on your own, specifically ask for a list of the company’s 10 most recent customers or those that faced the same issue or had the same particular needs you have. This will help avoid them giving you the names of only customers they know were satisfied. Then make some reference phone calls and ask the following questions. Were you satisfied with the service from (Alameda County DMV express company name)? What was the type and scope of service they provided for you (driver’s license renewal, license plate replacement, license plate sticker services, DMV registration or renewal, DMV registration replacement, title transfer, salvage vehicle revival, junk certificate, VIN verification, duplicate title order services, etc.)? Were the staff prompt and personable? Did they keep you informed about the status of your DMV registration renewal or replacement or other services? Did they complete the work in the time frame promised? Did the Alameda County DMV express company charge extra for any of the services you needed, such as late expired DMV registration renewal, expired license renewal sticker replacement, or other services? If so, did you know about the additional charge before the services was completed? Would you recommend this DMV express service to friends or family? When you need DMV registration renewal or replacement, license and sticker replacement, title transfers, VIN verification or other DMV services in the future, will you hire this DMV express service again? Before deciding on the best DMV express services in Alameda County for you, consider your needs, your notes, and the information you gathered about the companies available. Then think about the following question. Using all of your tools and information, it should be relatively easy to choose a company that can best meet your needs, whether you’re in Oakland, Fremont, Hayward, Berkeley, San Leandro, Alameda, Union City, Pleasanton, Newark, Dublin, Castro Valley, Emeryville, Mt Eden, Russell City, Piedmont, Cherryland or another area. Is there a DMV express services company in Alameda County that can meet your needs for DMV services, time frame, special requirements, and your customer service expectations? Are the Alameda County DMV express service staff knowledgeable about the services and assistance you need? Can they easily explain to you which services you need, why, and how they can help you? Are the fees fair and reasonable for the services rendered and the time saved? Do the DMV services you spoke with guarantee their services and follow all local and state rules and regulations? You’re smart to want to save time waiting in line at the DMV by going instead to an express DMV service or using online DMV services. But keep in mind that while you’re doing your best to save yourself frustration and time, local businesses in San Leandro, Berkeley, Hayward, Fremont and Oakland and other areas in Alameda County want to minimize frustration and make the most of their time by working with clients who are honest, fair, easy to work with, and a pleasure to serve. There are a few easy things you can do to help your express DMV services go even faster and more smoothly, and be the kind of customer that companies like to serve. · Prove your interest in value, not just cheap services. Price is important, but choosing a company based on expertise, ability, service record, reliability, professionalism, and expected outcome is a better way to choose a DMV express service. It is fair to ask about rates and fees, but be sure you’re also considering quality and doing your due diligence to be a good client who deserves quality services and good value. · Be honest if you’re shopping around for bids and services, and don’t make appointments you don’t intend to keep. Most Alameda County DMV service providers understand that customers have a right to find the company that best suits their needs, but they are usually too busy to cater to clients who use their time without an honest intention to get information and make an educated decision. · Be clear about what services you need and any impediments that may impact the service. This will allow your DMV express service to give you the most accurate bid possible. It also gives them insight into exactly what you need, expect, and can tell them about the job at hand. If they can’t provide what you need or want, or if the DMV renewal or replacement services will be hard to perform, it’s better to find out before you’ve wasted your time and theirs. Once you’ve found an express DMV service in Alameda County, whether it’s in Pleasanton, Berkeley, Union City, San Leandro and Alameda or beyond, that can provide the services you need and meet your expectations and you’ve confirmed that it’s possible to get the services you need from an external express DMV location or online DMV express company, it’s time to move forward. Make an appointment if necessary, know what you need and want to accomplish, bring or have handy any required proof or paperwork, have payment ready, and then work with your DMV express representative to get the replacement or renewal documents or items you need. In most cases, the services will go quickly and you’ll have your new or replacement registration, license plates, stickers or other items when you walk out the door or receive them in the mail within a few days. It’s the responsibility of express DMV services to do their best to get you the outcome you desire and the DMV services you require. But you can also impact the speed and success of your DMV services. Here are a few simple steps you can take to be a good customer when hiring Alameda County DMV service companies. Be clear and upfront with Alameda County express DMV services. Let them know what services you need and specific ways they can satisfy your expectations. Find out what you need to have or provide in order to speed along the services. This may include VIN, current registration or license plate number, proof of auto insurance, or other items. Remember, a friendly smile and positive attitude goes a long way in creating and maintaining a good working relationship. Before you hire express DMV services in Alameda County, including San Leandro, Berkeley, Hayward, Fremont and Oakland and your local area, restate your expectations and goals and reiterate to the representative your understanding of the agreement. By being clear about your expectations and theirs, you can avoid most conflicts. Be sure your DMV express service representative has a phone number where they can reach you at all times. They may need to reach you with updates, or for questions or work authorizations. Return calls promptly to keep your express DMV services on schedule. Pay for the services promptly and as promised. DMV services in Alameda County, including those serving Dublin, Newark, Pleasanton, Union City and Alameda and nearby locations, appreciate customers who are on time, honest, and easy to work with. Why would you want to be a good customer? Your good customer behavior sets the tone from your end and helps creates a good working relationship. The transaction may go smoother, faster, and more pleasantly for both you and your DMV express services. · The company name, physical address, and state license number. · A complete list of all services performed and materials attained. · The total cost for the services, including the itemized amount charged by the state or locality for DMV fees. · A written explanation of any warranties or guarantees. Alameda County express DMV companies offer in-person and online DMV services without the visit to the DMV. Those companies in Dublin, Newark, Pleasanton, Union City and Alameda and beyond offering express DMV renewals and replacements generally offer the common services below. They may also offer additional services. DMV registrations that are about to expire or that have been lost or damaged can often be renewed online or in person at Alameda County DMV express services. For this service, most customers only need to provide proof of license and previous registration, and the service often takes as little as 10 minutes. In addition, DMV express services can often renew DMV registrations immediately online or quickly in person, saving car owners from fines and late payments. License plate stickers that have expired or are about to expire can often be replaced easily and cheaply. This renewal service is generally faster and easier if it takes place before the old license plate sticker has expired. This also prevents being pulled over for expired plates and can save drivers from fines and fix-it orders. Title transfers occur when selling a vehicle. While it can take hours at a DMV to transfer the title of a vehicle, most Alameda County express DMV services can take a matter of minutes. Duplicate titles can be issued by most express DMV services in Alameda County, including those serving Oakland, Dublin, Fremont, Newark and Hayward, San Lorenzo, Sunol, Komandorski Village, Livermore, Ashland, Piedmont, Emeryville, and beyond. New vehicles manufactured in 1981 and after all have a unique Vehicle Identification Number (VIN). This number includes a 17-digit code and serial number and is useful in tracking and identifying vehicles. This can be used to track the history of a vehicle, including manufacture, sale, wreck/salvage, repair, and service. Owners of vehicles that are out of compliance and need to be taken to a shop for smog services or repairs can avoid tickets and fines by having moving permits in place. These can be a hassle to obtain from a DMV office, but most Alameda County express DMV services can issue moving permits online quickly. Damaged, lost, stolen, or misplaced license plates can be replaced. This could take hours at the DMV, but local DMV express services may be able to get new license plates issued quickly and with little hassle. Vehicles that have been reported to the California Department of Motor Vehicles as a total loss can be revived and restored to operational condition. However, reviving a salvaged vehicle requires a reregistration process including a completed application, salvage certificate, duplicate title, bill of sale, power of attorney form, and vehicle inspection. Express DMV services in Alameda County can walk car owners and refurbishers through this process. Any lost, stolen, misplaced, damaged, or otherwise unavailable DMV document can be replaced, and most can be replaced easily, quickly, and affordably by express DMV services. Documents that can be replaced include pink slips, vehicle stickers, vehicle registration cards, license plates, moving permits, commercial weight stickers, boat registration stickers, motorcycle stickers, off road stickers and more. Call your local DMV express company to see if they can legally provide the DMV document you need replaced. If you have a vehicle that is unsalvageable and needs to be junked, you may need to obtain DMV paperwork in order to sell it or parts to junk yards. Damage Disclosure Statements (often on the back of the title, but sometimes included as a separate form), vehicle title and proof of registration are often required. Lost, stolen, misplaced, damaged, or otherwise unavailable DMV document can be replaced, and most can be replaced easily, quickly, and affordably at DMV express services. DMV replacement documents include pink slips, vehicle stickers, vehicle registration cards, license plates, moving permits, commercial weight stickers, boat registration stickers, motorcycle stickers, off road stickers and more. DMV registrations that are about to expire or that have been lost or damaged can often be renewed online or in person at DMV express services. For this service, most customers only need to provide proof of license and previous registration, and the service often takes as little as 10 minutes. In addition, DMV express services can often renew DMV registrations immediately online or quickly in person, saving car owners from fines and late payments. Duplicate titles can be issued by most express DMV. These may be required for auto sales, junk vehicles, salvage reports, insurance companies, and more. Express DMV services are Department of Motor Vehicle services offered by a third party intermediary in lieu of and cooperation with the state DMV. DMV express services can generally provide basic DMV documentation including DMV registration renewal and replacement, license plate replacement, license plate renewal sticker replacement, title transfers, out-of-state and paperless title transfers, duplicate title ordering, revival of salvage vehicles, junk certification, VIN number verification, moving permits, boat registration renewal, motorcycle license plates and license plate sticker replacement, and more. Damaged, lost, stolen, or misplaced license plates can be replaced. Local DMV express services may be able to get new license plates issued quickly and with little hassle. License plate stickers that have expired or are about to expire can often be replaced easily and cheaply at express DMV service providers. Owners of vehicles that are out of compliance and need to be taken to a shop for smog services or repairs can avoid tickets and fines by having moving permits in place. These can be obtained from a DMV office, but most express DMV services can issue moving permits online quickly. Vehicles that have been reported to the Department of Motor Vehicles as a total loss can be revived and restored to operational condition. However, reviving a salvaged vehicle requires a reregistration process including a completed application, salvage certificate, duplicate title, bill of sale, power of attorney form, and vehicle inspection. Express DMV services can walk car owners and refurbishers through this process. Title transfers occur when selling a vehicle. DMV offices can transfer the title of a vehicle; however, most express DMV services can create title transfer documentation in a matter of minutes. Vehicles manufactured in 1981 and after all have a unique Vehicle Identification Number (VIN). This number includes a 17-digit code and serial number and is useful in tracking and identifying vehicles. This can be used to track the history of a vehicle, including manufacture, sale, wreck/salvage, repair, and service. Q: Why choose a Diamond Certified DMV service? A: Diamond Certified helps you choose a DMV service with confidence by offering a list of top rated local companies that have passed the country’s most in-depth rating process. Only DMV services rated Highest in Quality and Helpful Expertise® earn the prestigious Diamond Certified award. Most companies can’t pass the ratings. American Ratings Corporation also monitors every Diamond Certified company with ongoing research and ratings. And your purchase is backed by the Diamond Certified Performance Guarantee, so you’ll feel confident choosing among Diamond Certified DMV services. Q: Why would I go to an express DMV service? A: If you don’t mind waiting in line at the DMV or you have a complicated issue that can only be sorted out by your local DMV office, a DMV express service might not be the best fit for you. However, if you need a simple renewal or replacement of your DMV registration, license plate, stickers, or title; or if you need a title transfer, duplicate title, salvage vehicle revival title, VIN verification or another routine service, express DMV companies can save you time and the hassle of waiting in line at the DMV office. Q: What services can an express DMV center offer me? Q: Do I need to provide any documentation to renew my registration? A: For most registration renewals, all you need to provide your express DMV service is your license plate number or VIN. Q: If I’m moving to California from another state, can I use express DMV services? A: DMV express services pride themselves on being a fast and easy option—it’s why they exist. So, depending on your needs and individual situation and the company’s abilities, you can visit their brick and mortar location or website to take care of your needs. Most typical renewals and replacements for license, registration, stickers and more can be done in as little as a few minutes. Q: How long will I have to wait to get my registration sticker? A: DMV express services can often issue your sticker immediately after processing your registration. That means you can get your sticker the same day if you visit a local express DMV service office. If your express DMV company offers online processing, they will usually mail the sticker to you when they receive your online information. Q: Can you help me if my registration is late or suspended? A: Late or suspended vehicle registrations aren’t usually a problem for most good DMV express services. Most locations can take care of the problem, cancel the suspension, and issue you a new registration sticker at the time of your registration renewal and payment. Q: What if my title, registration, stickers, or plate were lost or stolen? A: Regardless of whether your DMV documentation is due, outdated, damaged, misplaced, stolen, lost, or otherwise unavailable, most DMV express services can help get you updated, new, or replacement documents or materials. This enables you to get back on the road legally and safely. Q: Can local DMV express services provide registration services or title transfers for salvaged vehicles? A: Yes, most express DMV centers can transfer the title and registration of salvaged vehicles. Some exceptions may apply. Q: Will I have to pay fees beyond any licensing or registration fees? A: DMV express services are independent of the state DMV office, so you will need to pay for their services along with any state DMV fees for licensing, registration, and other transactions. Fees vary depending on the express DMV service you choose, so learn about applicable fees before you begin to work with a company and make sure they’re worth the expense. Keep in mind, though, that express DMV services should be able to save you time and effort, so additional fees may be well worth it for the time and hassle you can save.